9. First of all, I will say a few words about our economic performance in 2009 and the economic outlook for 2010. 10. 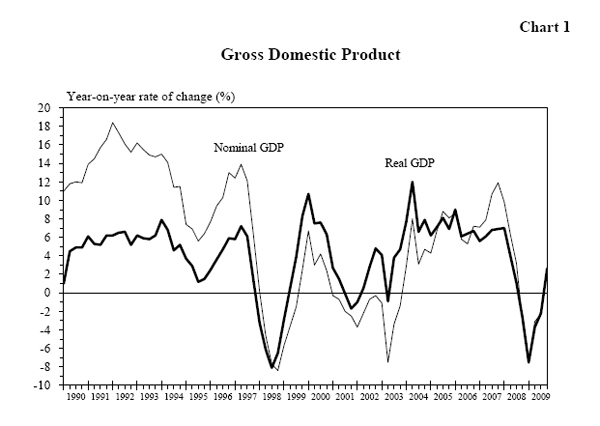 Gross Domestic Product (GDP) fell by 7.5 per cent in the first quarter of 2009. But, as the Mainland economy returned to faster growth and the European and the US economies began to stabilise, our economy improved in the second quarter and resumed year-on-year growth of 2.6 per cent in the fourth quarter. For 2009 as a whole, GDP fell by only 2.7 per cent. 11. Amidst the severe plunge in global trade, Hong Kong’s goods exports fell by 12.6 per cent in real terms in 2009, the biggest annual drop on record. For investment, gross domestic fixed capital formation dipped by 2.2 per cent for the whole year. We can, however, take some comfort in the fact that consumer sentiment was not seriously affected for most of last year. In 2009, private consumption expenditure dipped by only 0.3 per cent and actually reverted to a year-on-year increase in the latter half of the year. Business sentiment also improved distinctly during the latter half of the year, with overall investment recording double-digit growth in the fourth quarter. 12. 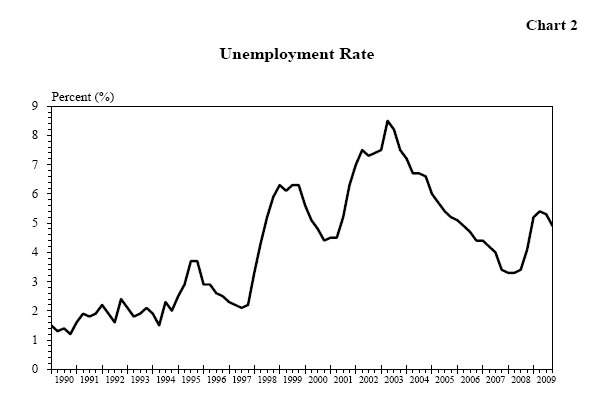 Employment is the Government’s biggest concern. As the economy started to recover and our measures to preserve employment proved effective, employment conditions turned better from the middle of last year, with unemployment rate coming down to 4.9 per cent lately. 13. As the costs of doing business in Hong Kong came down and the average import prices softened as a result of the global recession, the inflation rate eased from the beginning of last year. Mild deflation was seen in the latter half of the year. 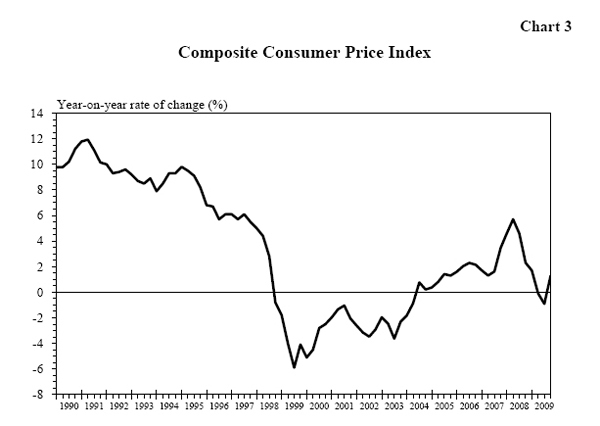 The average inflation rate for 2009 as measured by the Composite Consumer Price Index was 0.5 per cent. Netting out the effects of the Government’s one-off relief measures, the underlying inflation rate was one per cent.